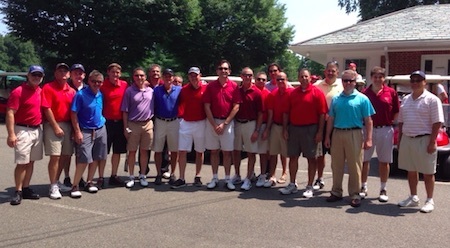 Kramer & Pollack, LLP is sponsoring a golf outing on May 4th, 2015 at Woodside Acres to benefit Imagine Academy For Autism. Kramer & Pollack, LLP is covering all of the expenses. That means every dollar you pay for this event (golf, dinner, donation and/or sponsorship) will go directly to Imagine. Letters will be provided to assist with your tax filings (they will come directly from Imagine). If you have any tickets, goods or services that you can donate for raffles, they would be GREATLY appreciated. Space is limited so please do not delay. We have set up a website for informational and registration purposes. On December 20th, 2007 Kramer & Pollack, LLP hosted a Holiday Party. All invited guests were asked to bring a $25.00 to $30.00 toy to the event. The night was filled with joy and laughter, great food, an open bar and with gracious hearts. In the spirit of giving we received over 150 toys for our drive. A special mention and our sincere thanks go out to Gem Stores who donated more than 50 toys to the event. As an added surprise, we raffled off fifteen gifts to people who donated the toys. The staff of Kramer & Pollack, LLP distributed the mountain of toys to gracious and appreciative children at two Homeless Shelters: The Crotona Inn located in the Bronx which is affiliated with the SCO Family of Services, and Convent Avenue Family Living Center in West Harlem, NY. Both facilities are tier 2 shelters that provide a safe haven for homeless families while they look for permanent housing. The day was filled with laughter and smiles from the children and their parents as they opened up their gifts. Next year we will hold the 2nd Annual Kramer & Pollack Holiday Party. We hope that our next toy drive will generate enough gifts to allow us to donate to shelters all across the Metropolitan area. You are invited to click below to view a slideshow of the party, the gifts and the smiles. Thanks so much to everyone who participated... your thoughtfulness, kindness and generosity was truly appreciated and really made a difference to some kids who have very little.